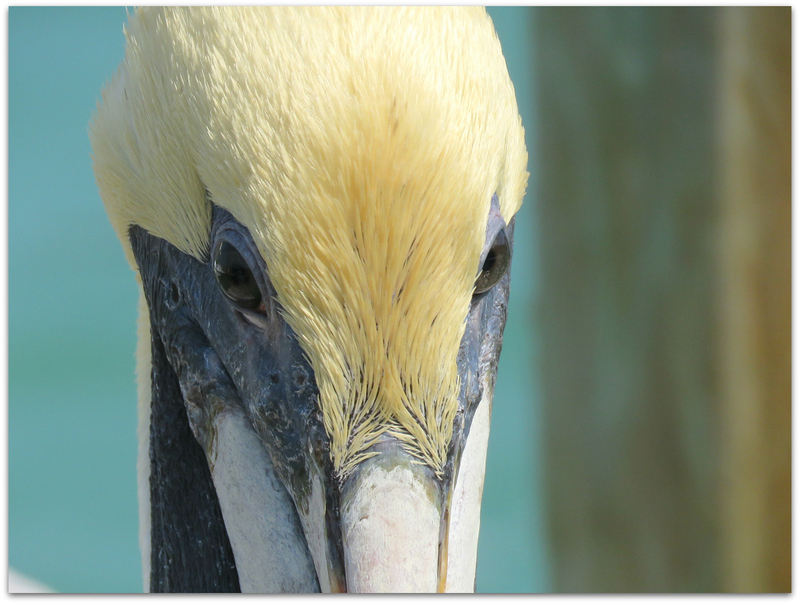 And now for something completely different: Brown Pelican close up. The Brown Pelican is a comically elegant bird with an oversized bill, sinuous neck, and big, dark body. Squadrons glide above the surf along southern and western coasts, rising and falling in a graceful echo of the waves. They feed by plunge-diving from high up, using the force of impact to stun small fish before scooping them up. They are fairly common today—an excellent example of a species’ recovery from pesticide pollution that once placed them at the brink of extinction. I finished the last of my February Florida bird albums and posted to Flickr yesterday: Robbie’s Islamorada. At Robbie’s in Islamorada, you can feed the tarpon (and have some of the fish you bought to feed the fish stolen by sassy pelicans) or you can just take pictures of the whole thing instead. Lunch right there at the Hungry Tarpon Restaurant was very good. I sat at the bar, with views over the dock and water, and had the ahi tuna tacos (as recommended by the bartender) and a salted-rim margarita. Every February should include a couple of hours like that. 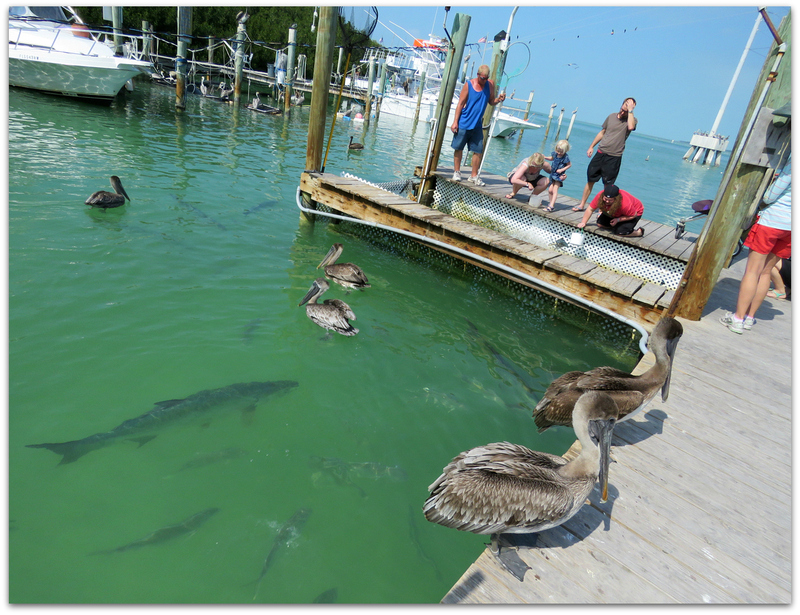 Also from the same few days: Anhinga Trail and Florida Keys Wild Bird Rehabilitation Center. 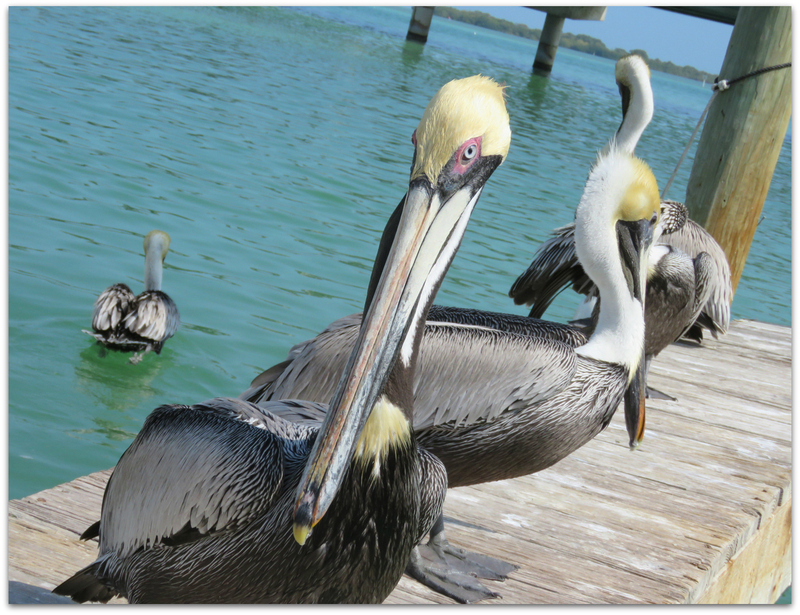 This entry was posted in Uncategorized and tagged Brown Pelican, Florida Keys, Robbie's Islamorada, tarpon on April 2, 2015 by Amy.